Sign content will primarily be advertising. 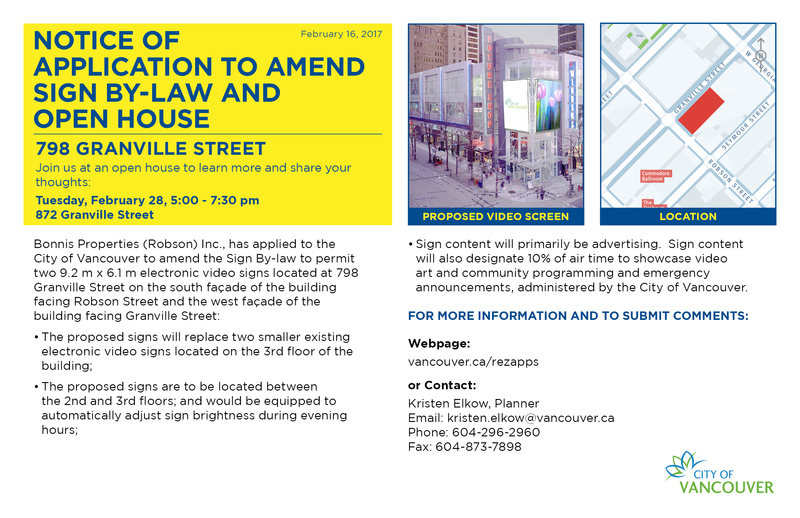 Sign content will also designate 10% of air time for non-profit arts and cultural promotional campaigns, to showcase video art and for emergency announcements, all administered by the City of Vancouver. 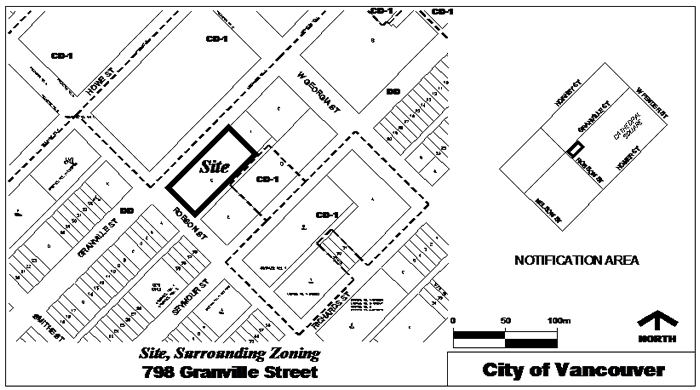 A community open house was held from 5:00-7:30pm on Tuesday, February 28, 2017 at 872 Granville Street, with the applicant team and City staff available to answer questions. This application has been approved by Council at Public Hearing on December 6, 2017.